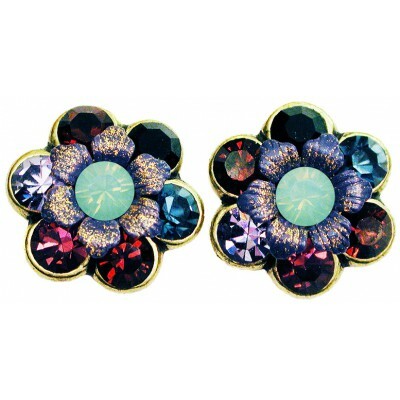 Michal Negrin stud earrings. 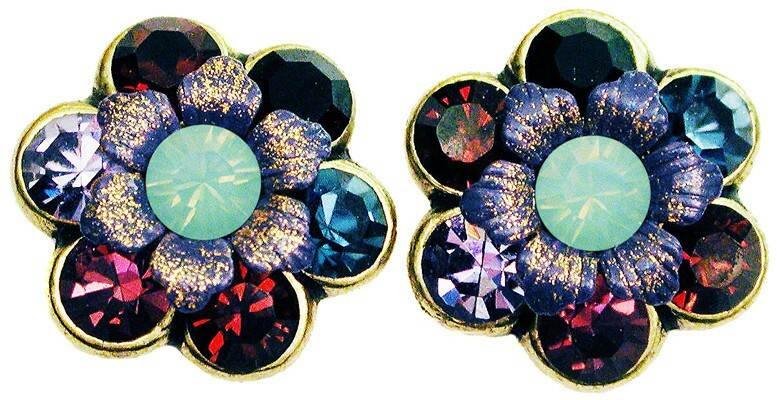 With sea green, black and sparkling blue, purple and garnet Swarovski crystals and painted flowers. Measure 1/2 inch in diameter.